Instructions for Garmin and TomTom follow. Garmin have made a number of changes to their map update procedures in the last year. 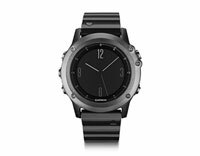 For those with newer devices these changes have made it much simpler, for others it can still be a painful process with numerous calls to Garmin technical support. 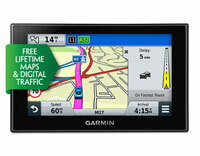 Even with several years of updating various models of Garmin sat-navs, I have found the experience torturous at times. 1. I have an older sat-nav, all I want is to update my Ireland & UK maps. If your sat-nav has a 'LM' designation, for example, the nuvi 2415LM or nuvi 2597LM then your device comes with free lifetime map updates. 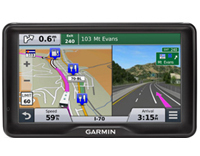 In this case you update the maps on your sat-nav using Garmin Express which you download from Garmin's website and install on your PC or Mac. Once downloaded and installed, the update process is relatively straightforward. You connect your sat-nav to your PC or Mac using the USB cable that came in the box. If you have lost your USB cable you can get a replacement. After this just follow the on-screen instructions. Within Garmin Express, selecting 'Install All' under the 'Updates' tab is the safest option. If all goes to plan, not only will the latest maps for your sat-nav be installed but also the latest device software, Bluetooth updates, voice updates and so on. At the end of the process your sat-nav will be right up to date. 1. Register your sat-nav by entering your email address when requested to do so. 2. I recommend that you only use Express if you have a good and reliable broadband connection as some of the maps files are very large and take several hours to download from Garmin. 3. During the update procedure and depending on your device, you may be asked to disconnent your sat-nav from your PC and reboot it (turning it back on). This step is the installation of the latest software (not the maps) for your device. It is important to let this procedure complete - don't be tempted to switch on/off your device even if it looks like nothing is happening. The software update procedure can take several minutes to complete so be patient. 4. It is advisable not to update your sat-nav if the battery is flat, make sure it is charged. 5. Your sat-nav may not have sufficient space for the map update. In this case you can either select a smaller region that will fit on your device or you can insert a micro/SD card into your sat-nav to hold the maps. I recommend a 4 GB Class 4 micro/SD card for this. If you don't have one, you can purchase one from here. 6. 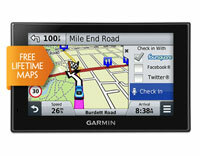 Always make sure you have the latest version of Garmin Express installed before updating your sat-nav. You can check this by clicking the 'cog' icon, top right hand side of the Garmin Express window and clicking on the link in the 'About Garmin Express' panel. 7. Now the bad news. Unfortunately, Garmin Express does not always work. Sometimes it has trouble recognising the devices that are connected to it. 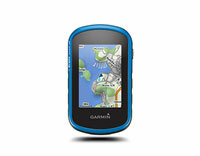 In these cases, even though your device comes with lifetime maps, no matter how many times you connect your sat-nav to Garmin Express it informs you that can purchase a map update. If this happens, you will need to contact Garmin on 1890 930 081 to have the problem resolved. Again, this is done through Garmin Express. The only difference is that you have to purchase the map update from Garmin's website first and then use Express to apply the update. If your sat-nav is over 3 years old, I would recommend the onetime update only. Often (but not always), at three years the battery in the sat-navs start to deteriorate and as the lifetime map updates are not transferable to a new device, sometimes it can be more cost effective to replace the sat-nav with a new device rather than update it. All new sat-navs now come with free lifetime map updates. 4. Can I update my nüvi 3xx / nüvi 6xx series? Yes, these devices can be updated however it is problematic if you want to update full European maps. The devices can only accept class 4 SD cards up to 2 GB. The European maps are now over 2 GB which means you have to split the maps between the sat-nav and 2 GB card. This can only be done with Garmin Mapsource or MapInstall. 5. Would mySatNav update my maps for me? This fee is reduced to €35 if you purchased your sat-nav from us. The benefit is that we completely remove the hassle and aggravation for you - you send us in your sat-nav with old maps and 48 hours later we return it to you, updated with the latest maps. 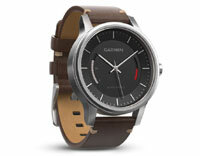 6. Who should I contact if I have problems using Garmin Express? Currently, all TomTom map updates are done through either MyTomTom or TomTom Home. The free PC based software can be downloaded from here, `MyTomTom for new devices and TomTom Home for older devices. Both are straightforward to use and easy to follow.